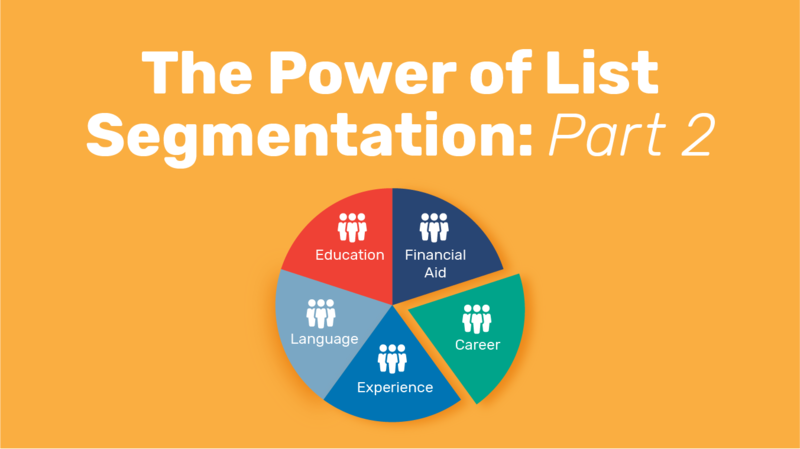 The Power of List Segmentation Part III: So You Want More Student Applications, Right? Audience segmentation and digital marketing, this is our third post of our three-part series. Our faithful readers dug into Part I (segmentation and parameters) and Part II (audience motivations) with relish. Today: messengers and lead scoring. Hold onto your hats, right? This stuff is important— so while our blog series on the topic may end today, we hope you'll keep digging into the topic of audience segmentation. We're here to help. Drop us a line at info@intead.com, or connect with us in-person at the TABS Global Symposium on April 28-30 in Newport, RI. 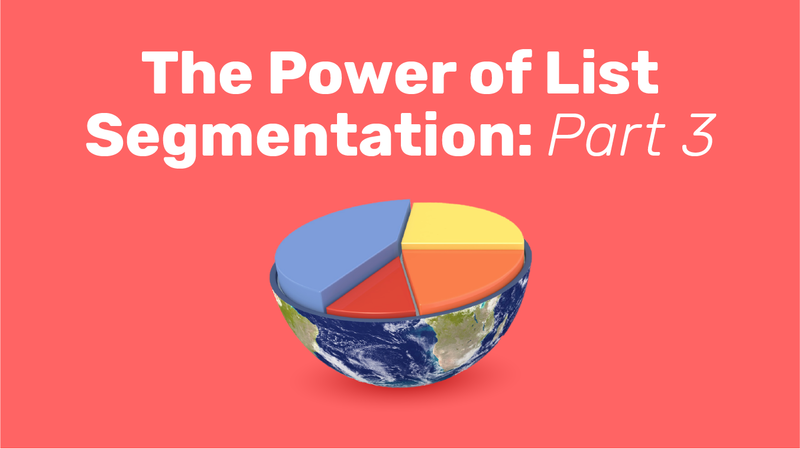 We'd love to talk with you about how you can use segmentation to up your enrollment game. One other near-term, valuable opportunity to learn with us: Artificial Intelligence for Higher Ed Explained. An Intead Plus exclusive webinar with Ashish Fernando, CEO of iSchoolConnect. This is a great opportunity. We will help you navigate the complex waters of AI and help you stay focused on your long-term goals. 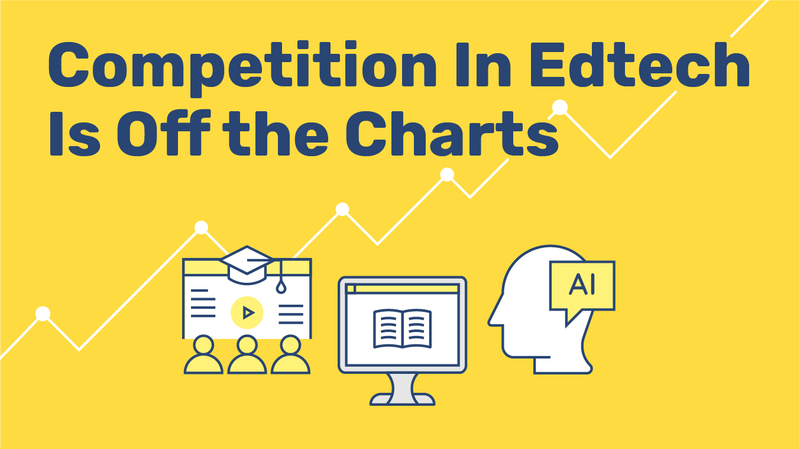 We're Intead, so we'll have some really cool data to share about online behavior, tech trends, case studies and the many faces of AI that can improve your student recruitment and engagement. Here's the bottom line on audience segmentation. Yes, the process can feel daunting. You have a lot to consider: Which regions do you want to reach? What motivations drive your prospective students? Which messages will be most compelling, and to whom? 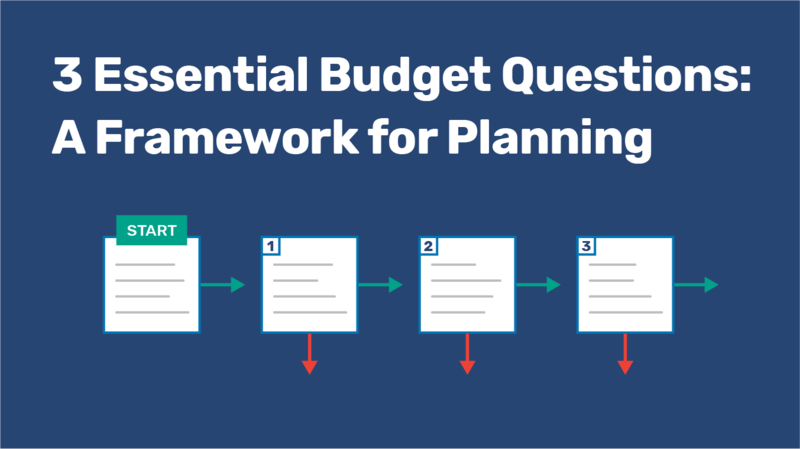 There is a ton of strategy to consider and content to develop. 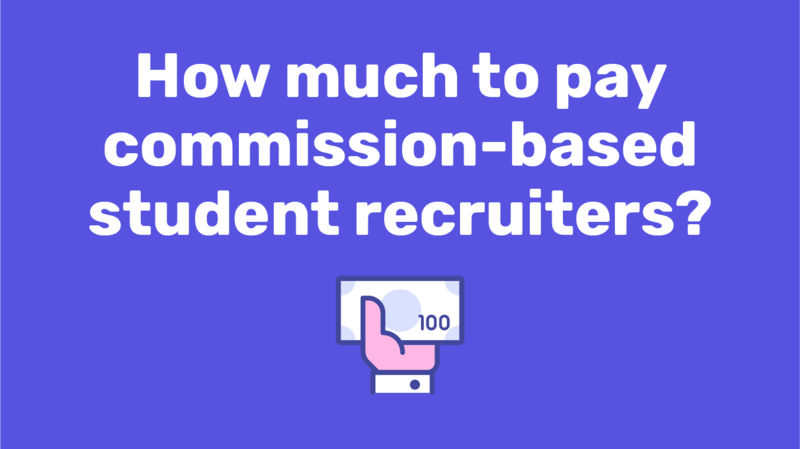 Nevertheless, this process is how you get more applications and boost your student yield. We imagine there is some internal pressure to achieve these goals, yes? Different markets require different approaches. Ignore this reality at your own peril. For example, many institutions simply dump all prospective “international students” into a marketing bucket called “INTERNATIONAL.” We hear it all the time (“Let us show you our ‘international’ recruitment brochure!”) and it still makes us wince. In today's competitive market, a one-size-fits-all approach simply doesn't cut it. Take the time to segment your audience and implement a marketing plan (message, content, dissemination channel) to each group you are targeting, and success will follow. Part of doing audience segmentation well is choosing the best messenger at the best time. And another part is having your system set up to indicate or elevate the best leads - AKA lead scoring (those most engaged) so you know where to focus your valuable time and resources. So without further ado, let's get to it. 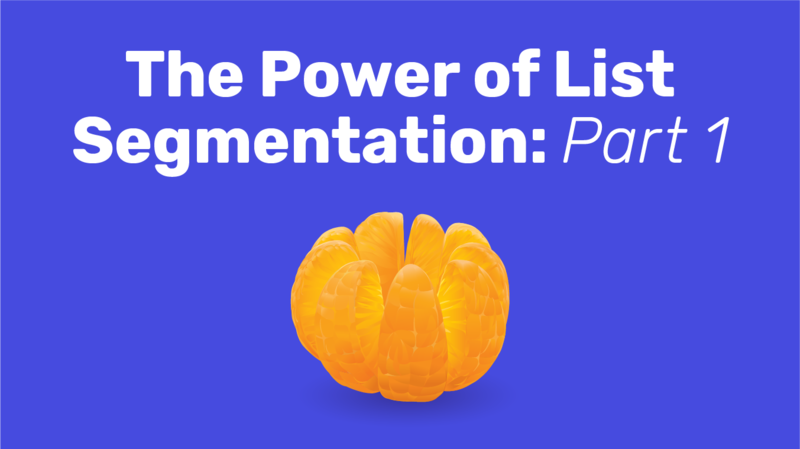 The Power of List Segmentation Part II: What's Motivation Got To Do With It? Last week’s blog post kicked off our mini-series on audience segmentation with a discussion on segmentation by demographics, geography and interests. This week we will delve into models for identifying underlying student motivations and how to make use of this data for your international student recruiting. Psychographic segmentation identifies unique groups of students with shared motivations and desires in order to help you, as a recruiter, discover what drives them to enroll at your institution. Student's don't just show up on your doorstep. They must be motivated to seek out your institution, out of all your competition. 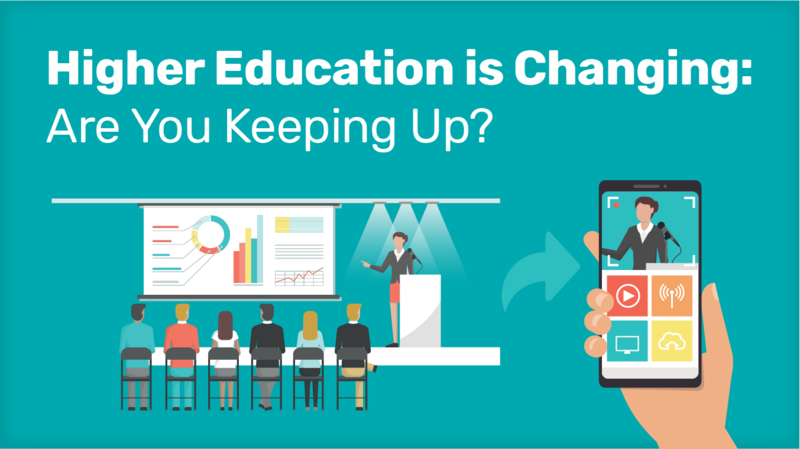 Here's an interesting audience segment: 50% of Nafsan's think that Artificial Intelligence (AI) will change Higher Education but they don't know how. We aim to fix that! 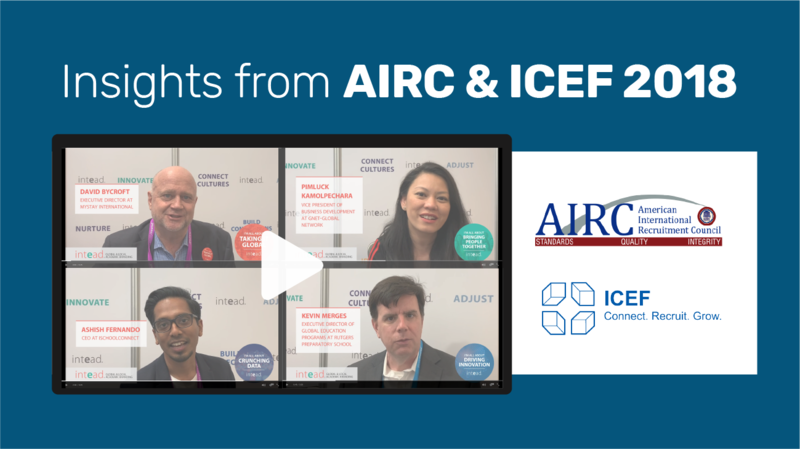 Intead Plus Members will have access to an exclusive webinar about AI and Higher Ed on Thursday, March 28, 2019 at 1 pm. Not an Intead Plus Member and still want in? We might know some people at the door! Drop us an email. The market segments we discuss below are common to most student groups no matter their geographic origins. Yet, each segment will respond more or less to different influencers, based on what part of the globe they come from. There are so many ways to parse the data. 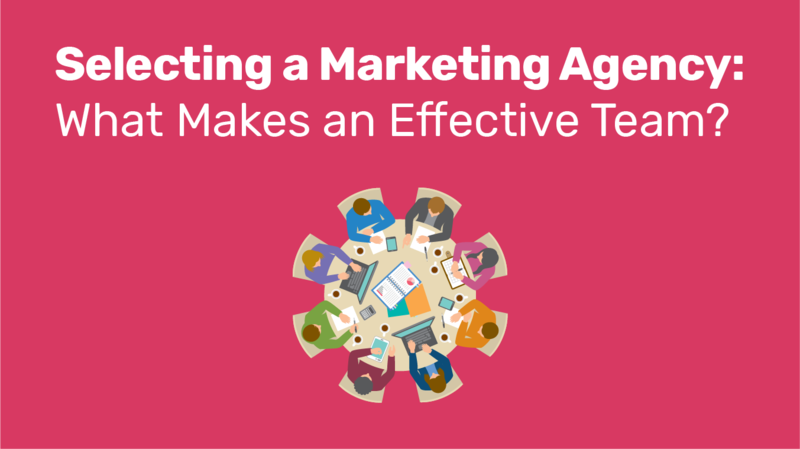 No wonder so few institutions take the time to implement this granular approach to marketing. You know other industries, including clothing retailers, are doing this stuff with their digital marketing. it's not that hard to do. But it takes time. Retailers use CRM platforms and employ small teams of people to write copy and develop marketing approaches for each clothing line based on audience segmentation. They commit the resources to meet each audience segment with the right information, at the right time, to help them make an informed decision about a purchase. 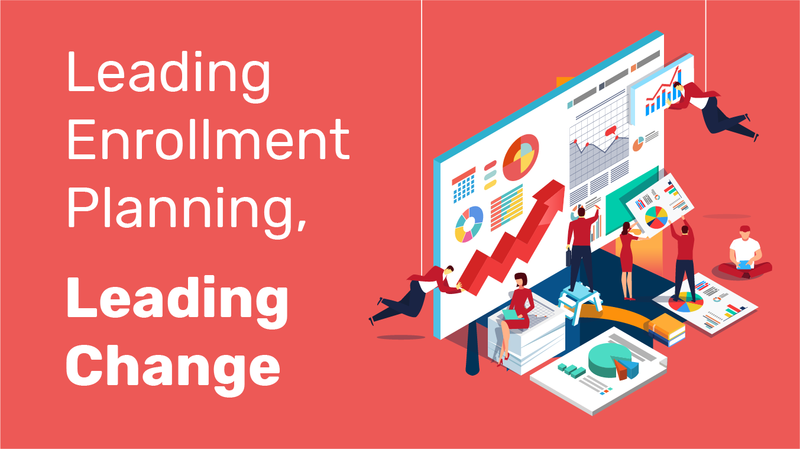 Although the service your institution provides differs wildly from the offerings of any retailer, the granular level of segmentation is relevant and applicable to your specific academic programs and the audience segments you are approaching for each one. Bottom Line: We certainly see parallels with how retailers and universities can communicate their offerings to audience segments and cross sell (students interested in this program also pursued interests in these areas...). What we don’t see is a parallel commitment of resources. Academics are so often strained by budgets and limited resources, but the reality is that those committed to growth and success commit funds to reaching the right audience with the right information.